Organised crime groups are expanding and diversifying drug production in Southeast Asia’s Golden Triangle raising concern the region could emerge as a hub for synthetic opioids such as fentanyl, according to the UN’s Office on Drugs and Crime (UNODC). Since being hit hard by the 1997 currency crisis followed by the 2008 global financial crisis, some members of the Association of Southeast Asian Nations have been hastening reforms in capital markets and corporate governance. Non-profit organisations (NPOs) operating in Australia and throughout South-East Asia are vulnerable to terrorist infiltration and exploitation, according to financial intelligence agency AUSTRAC. Venture capital MassMutual Ventures (MMV) has set up a US$50mil fund to invest in 10 to 15 start-up companies throughout Southeast Asia (Asean) over the next three years. Trade tensions and geopolitical developments have yet to weigh on deal-making sentiment across Southeast Asia — but the near-term outlook remains “patchy,” according to a senior investment banker. The 10th anniversary of the global financial crisis has provided the occasion for serious reflection about the prevention and resolution of financial and economic crises, and whether the key lessons from the crisis have been addressed. There might be an increasing number of dates appearing on the calendar when it comes to e-commerce sales such as Black Friday and Singles’ Day, but the traditional Christmas holiday still represents the majority of online engagement, according to a new study by Meltwater. The threat of violent-extremism in South-east Asia has evolved in two distinct phases: the Al-Qaeda centric phase and the Islamic State-centric phase. Leaders in Southeast Asia are concerned about Chinese expansion in the South China Sea, according to a Japanese press report. 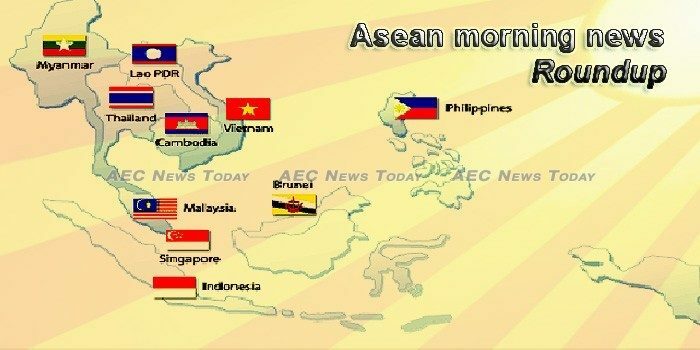 ASEAN nations and India are the crux of President Moon Jae-in’s New Southern Policy that seeks peace and prosperity in the region beyond the Korean Peninsula and Northeast Asia, according to the head of a presidential committee, Wednesday. Southeast Asia’s adoption of artificial intelligence has been especially evident in the areas of “high tech and telecom, transportation and logistics, financial services, and healthcare,” according to a 2017 report from management consulting firm McKinsey & Company. A bigger representation of women in governments and positions of decision-making at all levels has been found to improve the well-being of a population through identification and targeting of lagging development agendas that impacts on their quality of life. The Council for the Development of Cambodia (CDC) approved seven new factories in Cambodia with a total investment of over US$80 million, according to CDC’s Facebook on Wednesday. The National Bank of Cambodia (NBC) announced on Tuesday that it will continue to strengthen confidence in the riel by stabilising the currency exchange rate and boosting public awareness on the economic benefits of using the local currency. Cambodia and the United States trade in goods has reached $3.2 billion in the first nine months of 2019, up 39 per cent compared to the same period in 2017, according to the report on Cambodia-US Trade of Cambodian Commerce Ministry’s Statistics Department released on Wednesday. The fast-spreading virus was found in a “backyard” operation last week in Guanfang village, within about 200 kilometers (124 miles) of China’s border with Myanmar and Laos and near Thailand. With a median age of 22, this young, vibrant generation will one day be the civil servants and business leaders of Laos. Russian mine clearance specialists have defused over 100 cluster munitions in Laos, which remained on the country’s territory since the US bombardments of 1964-1973, the Russian Defense Ministry said Wednesday. Foreign companies providing online services in Malaysia will soon have to pay a service tax, the Ministry of Finance confirmed on Wednesday (Nov 7). Malaysia is still studying the implications and potential impacts of the Comprehensive and Progressive Agreement for Trans-Pacific Partnership (CPTPP) before deciding to ratify the free trade agreement, said Tun Dr Mahathir Mohamad. The Malaysian government has announced a 1 billion ringgit ($239.7 million) initiative to improve the nation’s telecoms connectivity in the market in order to promote growth of its digital economy. The Department of Fisheries will demand importers of squid from Myanmar present official papers certifying that they have been caught according to sustainable fishing practices, in a move perceived as a measure to help shore up the price of local squid. Top officials from 17 countries in the Asia-Pacific are meeting in Myanmar’s capital, Naypyidaw, from Wednesday to Friday to discuss the deteriorating situation and negotiate new strategies to tackle the problem of synthetic drugs. Due to an import ban on rice, sugar and maize by China, trade at the Myanmar-China border has been at a standstill for the past month, U Khin Maung Lwin assistant secretary at the Ministry of Commerce said. Philippine imports hit an all-time high in September while exports remained weak, bringing the trade deficit to $3.93 billion, the highest in nine months amid sustained purchase of capital goods needed for the government’s ambitious infrastructure program, the Philippine Statistics Authority (PSA) reported yesterday, a day before the release of third quarter economic performance. The government of Japan has provided P22.7 billion worth of aid to the Philippines to enhance the country’s air defense capabilities and rehabilitate the Metro Rail Transit Line 3 (MRT-3), the Department of Foreign Affairs (DFA) said yesterday. Philippine President Duterte and his Chinese counterpart Xi Jinping are set to sign this month a 175-billion pesos ($3.3 billion) credit deal to build the South Railways project, a 639-kilometer standard gauge railway line between Manila and Bicol. COMPULSORY e-filing of corporate income tax returns starts this year for companies with revenue of more than S$10 million in year of assessment (YA) 2017, the Inland Revenue Authority of Singapore (IRAS) reminded in a media statement on Wednesday. Beijing: Thailand is moving ahead with plans to upgrade economic cooperation with China, agreeing Wednesday to the comprehensive framework on enhancing trade and economic partnership between the two nations and aiming to double bilateral trade to UScopy40 billion (4.59 trillion baht) by 2021. Thailand and Australia have agreed to continue their Taskforce Storm operation to combat drug trafficking, an industry that is believed to fund terrorism. Vietnam ranked 1st in terms of the disposable income for expat in HSBC’s latest report, where 72% said they have saved up more just by moving to Vietnam than in their home countries. The Vi?t Nam National Oil and Gas Group (PetroVietnam) has surpassed key financial targets for the first 10 months of this year thanks to stability in production and business as well as the rise in petrol prices in October.